The World's Finest Grain Color Negative Film! 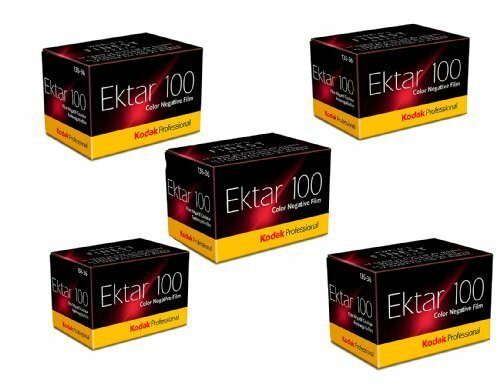 Ultra-vivid color Exceptional sharpness Extraordinary enlargement capability Featuring ISO 100 speed, high saturation and ultra-vivid color, EKTAR 100 offers the finest, smoothest grain of any color negative film available today. Ideal for scanning, and offers extraordinary enlargement capability from a 35mm negative. A perfect choice for commercial photographers and advanced amateurs. Recommended applications: nature travel outdoor photography fashion product photography This is a roll of 36 exposure 135-36 35mm Ektar 100 Color Negative Film from Kodak. It is a wonderful medium speed outdoor film that produces vibrant color and which features smooth, fine grain. This film can be scanned with no fear of losing detail. Ektar can be used by pro and amateur alike.